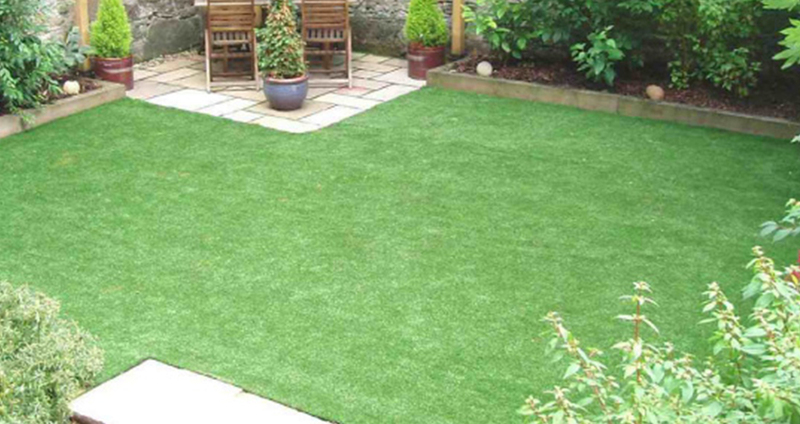 Synthetic grass is ideal for families of all sizes. It's extremely durable and will withstand the most boisterous of play. With your own synthetic lawn, the kids can get out regardless of the weather, you’ll never again have bald patches or dust bowls in the summer or mud baths in the winter. What's more, as it drains much quicker than real grass and of course your little angels cannot bring any mud and dirt into the house. Just think... no more "you can’t go outside because the grass is wet and muddy!" More and more schools and nurseries are installing synthetic play areas because of the benefits that this can bring; practical, hard wearing, mud free and true all year round usage. We can also install a shock absorbing underlay if required. Call us on 0845 539 9789, or use the call us now or book a visit buttons on the main page for more details.